The transparent nature of the way we work at Redgate is unlike any other company culture I’ve experienced. We strive to be open and honest about our decisions and how things are going. On an individual level we have a feedback-led culture, and as a manager I spend a lot of time working with my team, discussing their progress and celebrating their successes. 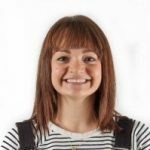 With such a strong framework in place for recognising achievements, it would be easy to think that it should sit with managers, inside formal development and feedback sessions, or as part of an annual review or internal awards process. But I believe that limits the scope for acknowledging the difference someone is making. Our sales organisation has had a fantastic couple of years at Redgate, for example. We’ve transformed the way we sell, while keeping customers at the heart of how we work. We’ve highlighted this internally in our annual awards, as well as at key moments throughout the year like company meetings and celebrations. But when you work with phenomenal people, you shouldn’t limit the recognition to inside the company walls. That’s why Redgate entered the British Excellence in Sales Management Awards this year, in an attempt to celebrate our successes outside of the Redgate offices. We did it to recognise the skills of our sales people, thank them for their contribution, and see how their achievements measured up against those of other sales professionals. 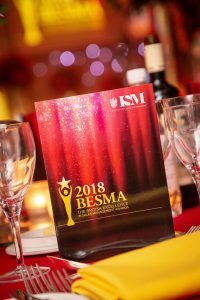 Participating in public awards programmes like the BESMA Awards is a way to show your team you value their work, demonstrate they’re among the best in their field, and showcase their talents with other companies. It’s a challenge too. 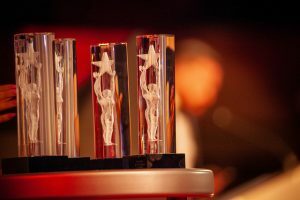 Now in their 12th year, the awards represent the UK’s highest level of recognition for outstanding sales achievement, and reward organisations which demonstrate best practice in sales. There was a focus this year on ethical selling – working for the customer, rather than simply focusing on a sale at any cost. The panel of high calibre judges from companies as varied as BAE Systems, BT, Experian, Lloyds Register, Microsoft and Siemens wanted to see evidence of a culture that encouraged responsible and ethical sales – and delivered solid results. 800 entries were received from companies like IBM, Marriott Hotels, McAfee, PwC, and Rolls-Royce, and there were 80 finalists across 17 different categories. We were finalists in four of those categories, and I’m delighted to say James King won Key Account Manager of the Year, and Cassi Roper won Sales Director of the year. Entering external awards like this is an investment. It takes a lot of work and effort to put the nominations and presentations together, some of your key people need time out of the office to attend the judging day, and you need to invest money to attend the awards themselves. The impact of entering the awards isn’t easily measurable, but I know that from our experience of taking part in the judging day, becoming finalists, and being recognised at the awards ceremony, the success will be remembered by the team and spur them on for a long time to come. At Redgate, encouraging personal development in our teams is fundamental to building amazing products.